I met up with Anita tonight for our first "Foodie Friday" outing in months. 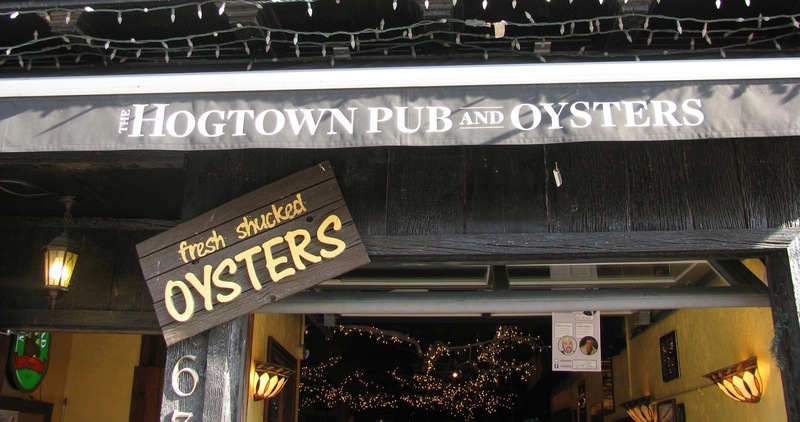 I let her decide where we were going to go and she chose a place she'd been wanting to check out for ages, The Hogtown Pub and Oysters. The first thing I noticed when I walked through the door, was the warm and welcoming decor, lots of wood, and I loved the tree branches along the ceiling covered with tiny white lights. It had a real neighborhood pub vibe about it. Our waitress, Christine, is probably the most personable waitress I've ever encountered in my life, and I'd probably return to the place just to have a drink and talk to her about music if the food wasn't good, luckily that wasn't the case. I wanted to take her picture, but she was camera shy, so she sent over the owner, Darryl, instead. He was as friendly as he was good looking, so it was a win-win. Anita enjoying a beer before dinner. Village Bay Oysters from Nova Scotia. Anita found her Fish Tacos funny as well as delicious. I adore a good Beet Salad. The owner, Darryl and his humungous pepper-mill. Anita couldn't get enough of Darryl's huge pepper-mill! Macaroni and Cheese, Anita said at least 5 times while eating it how good it was. 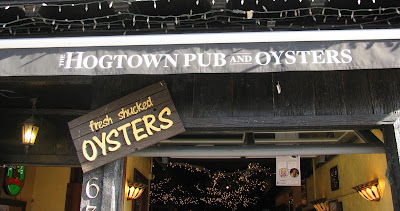 We give The Hogtown Pub and Oysters 2 thumbs up!